An exceptional weapon for woodsmen, dwarves, Vikings, and barbarians, the Spiked Poll Short LARP Axe has a lethal design perfect for slashing and chopping. This medieval foam axe also makes a stunning addition to any cosplay ensemble. Crafted from dense latex foam with a unique fiberglass fusion core, this fantasy LARP battle axe is lightweight and extremely flexible. The durable latex construction with painted details provides a realistic look for any cosplay or theatrical production. 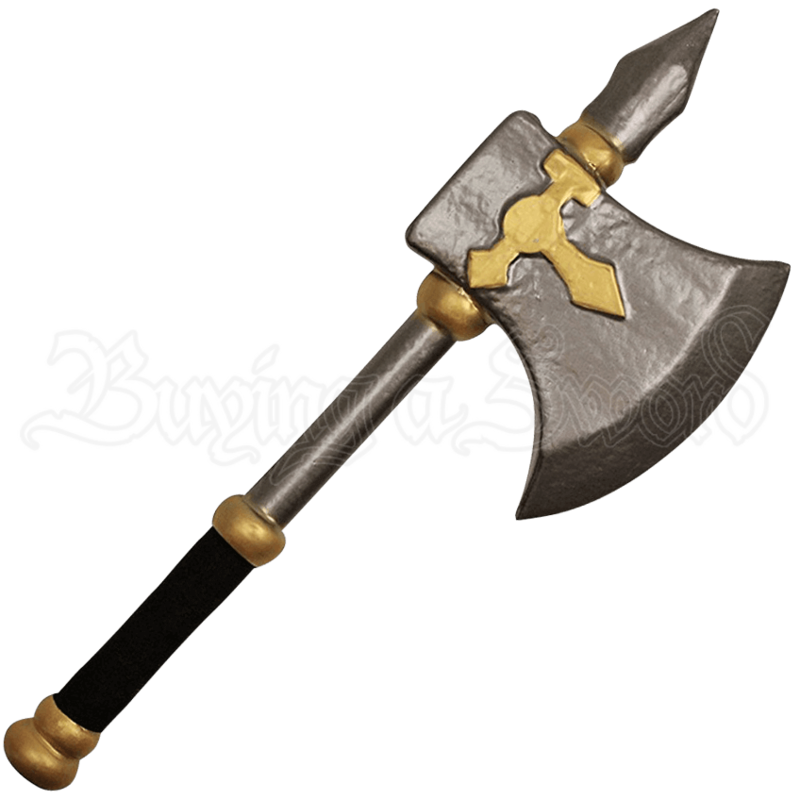 The single headed axe is accented with a gold arrow motif and is mounted on a silver staff with a spike protruding from the top. With a cloth wrapped handle for a secure and comfortable grip, this Spiked Poll Short LARP Axe is suitable for light sparring.